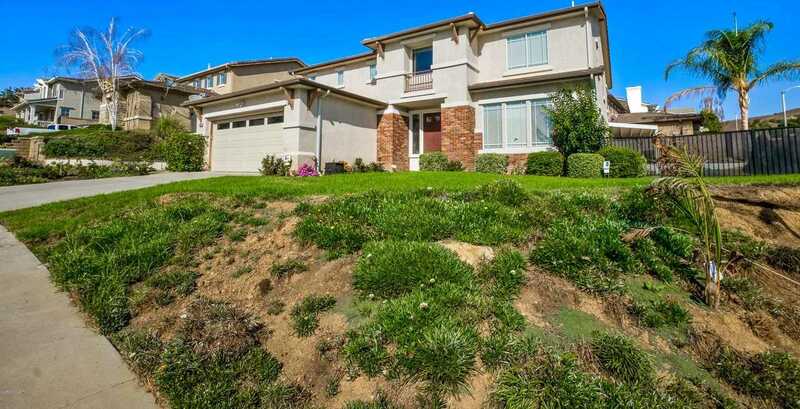 Listing courtesy of Mamdouh Elalami (CalBRE #01750791), Seven Star Properties, Inc.
Everything you want in a house! This highly upgraded home is an entertainer’s delight! With apprx 3200 sq. ft, this great, open floor plan offers 5 bedrooms, 3 baths with 1 bedroom/full bath downstairs. Gourmet kitchen boasts granite counters, travertine backsplash, 2 sinks, butler pantry, wine fridge, bar area, 5-burner range and convection oven. Family room includes entertainment built-ins, designer framed walls, crown moulding, designer paint and high ceilings . Travel up winding staircase to bedrooms with ceiling fans, decorative paint and a Stunning master suite that offers custom walk-in closets, mountain views, sitting area, large bathroom with tub and seperate shower . Backyard features a large side yard with room for a pool, covered patio and fruit trees. Additional features include travertine living room fireplace, recessed lighting, laundry room, tandem parking garage, corner lot, natural light and high ceilings. Ready to be yours! Building size: 3089 sq ft.